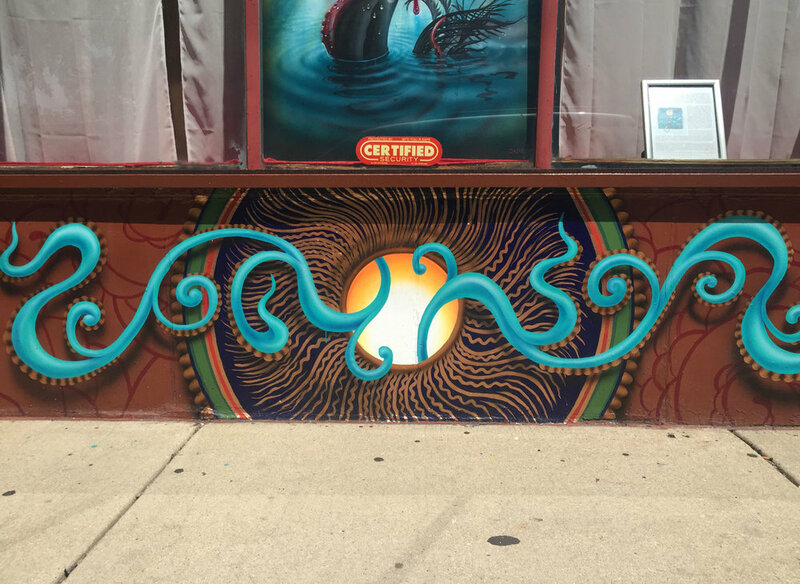 Jason has created some public works around the streets of Chicago. See a sampling of them here. 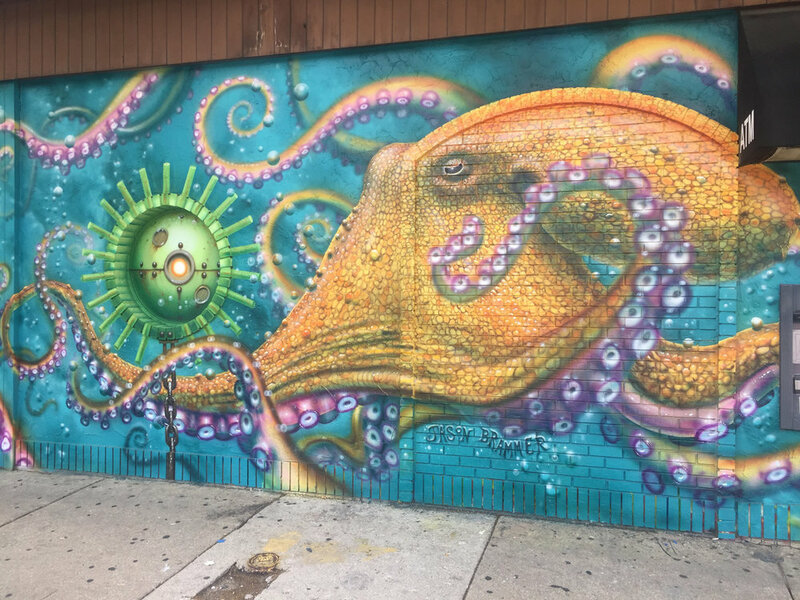 This mural was on a rotating mural wall and is no longer up. 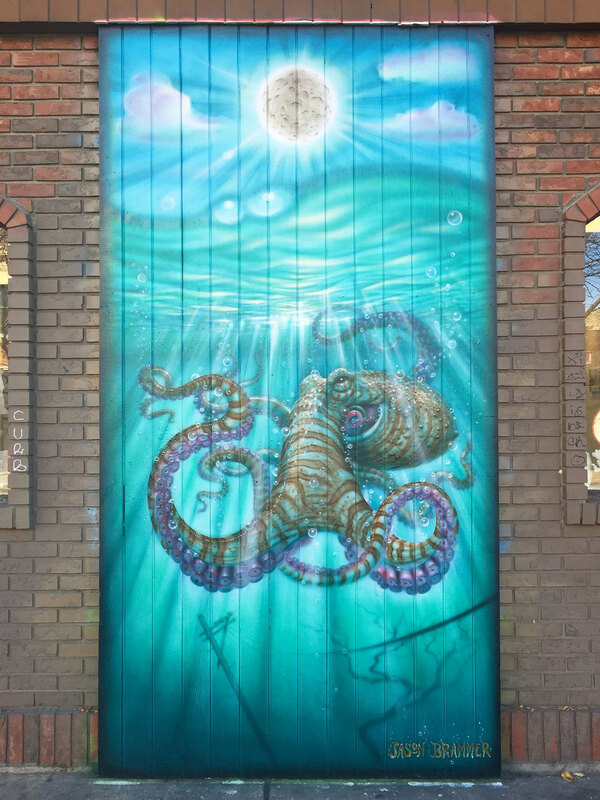 Located on the facade of Jason's art studio at the northeast corner of California and Cortez, on Cortez. 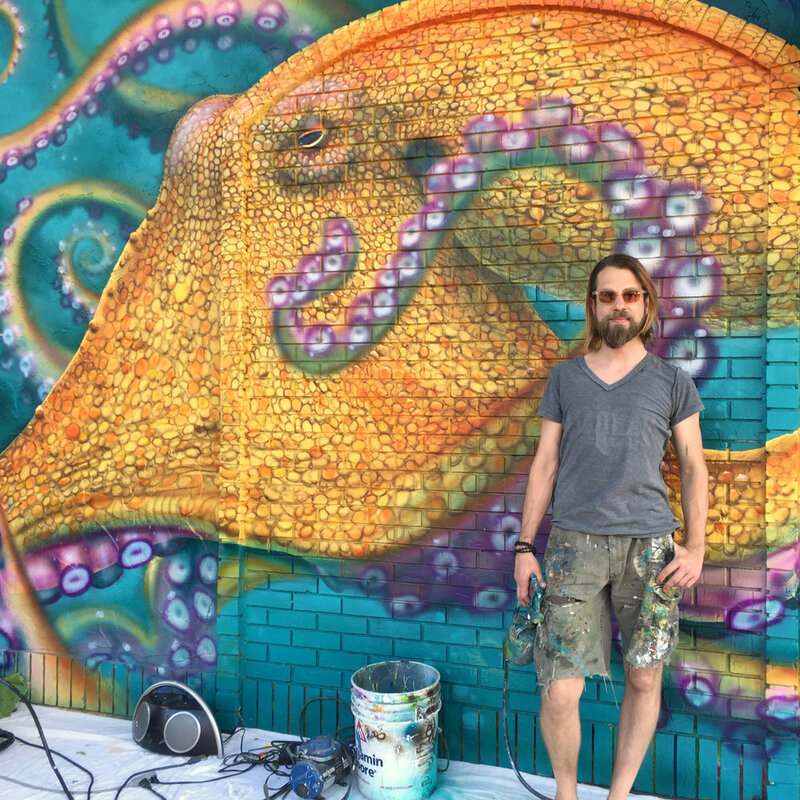 This mural was started in summer 2014 and is an ongoing piece that Jason plans to add to as weather and time permits. It will be up indefinitely. 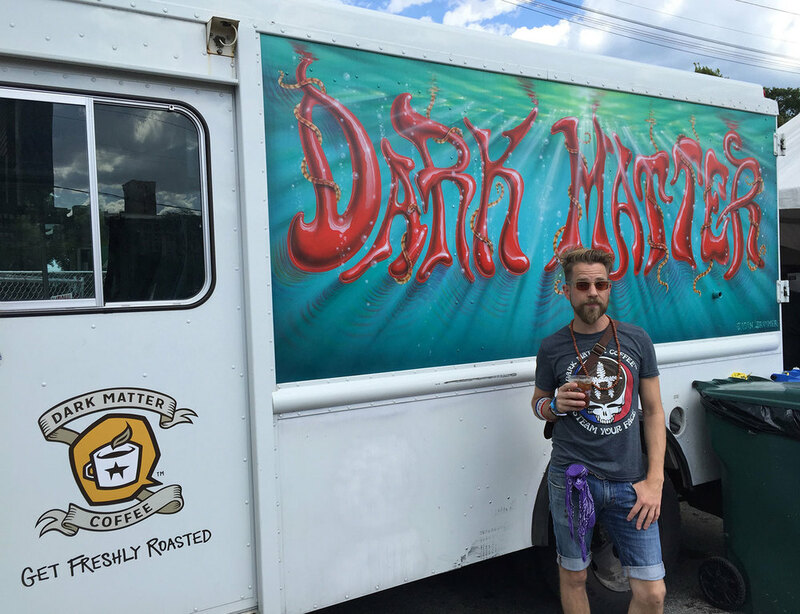 Located on both sides of Dark Matter Coffee's delivery truck. Look out for this one on the streets of Chicago. 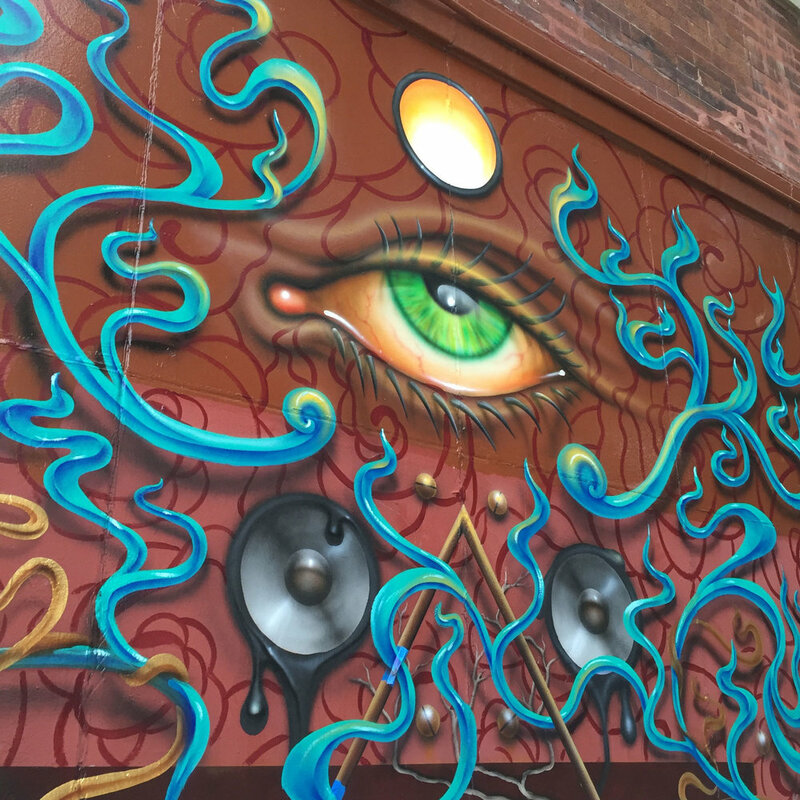 This piece was located in an alley by Jason's old art studio in the Ukrainian Village neighborhood of Chicago. 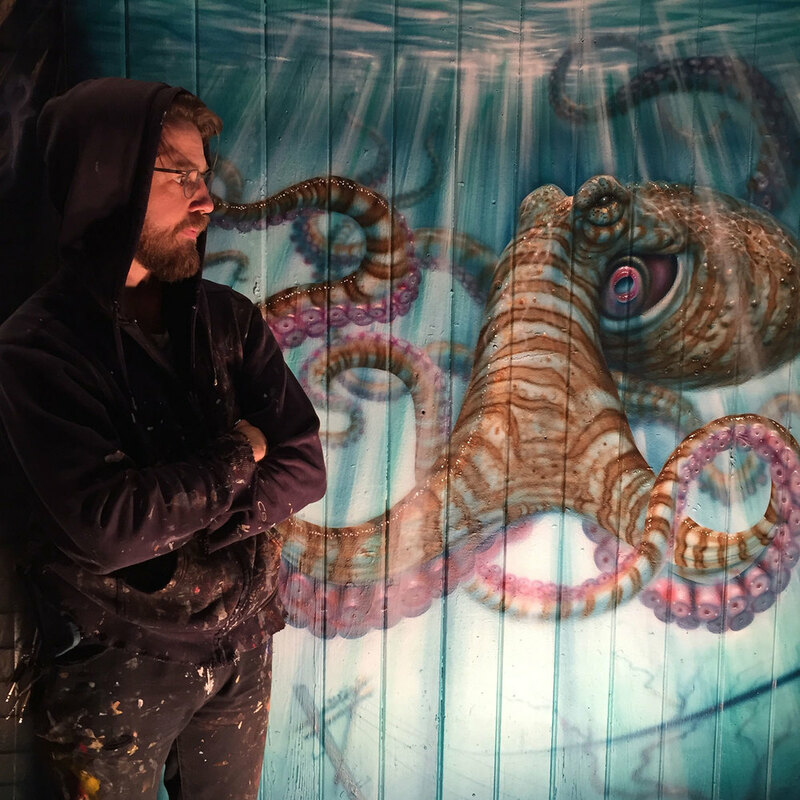 It was done on 3 sections of a abandoned garage. 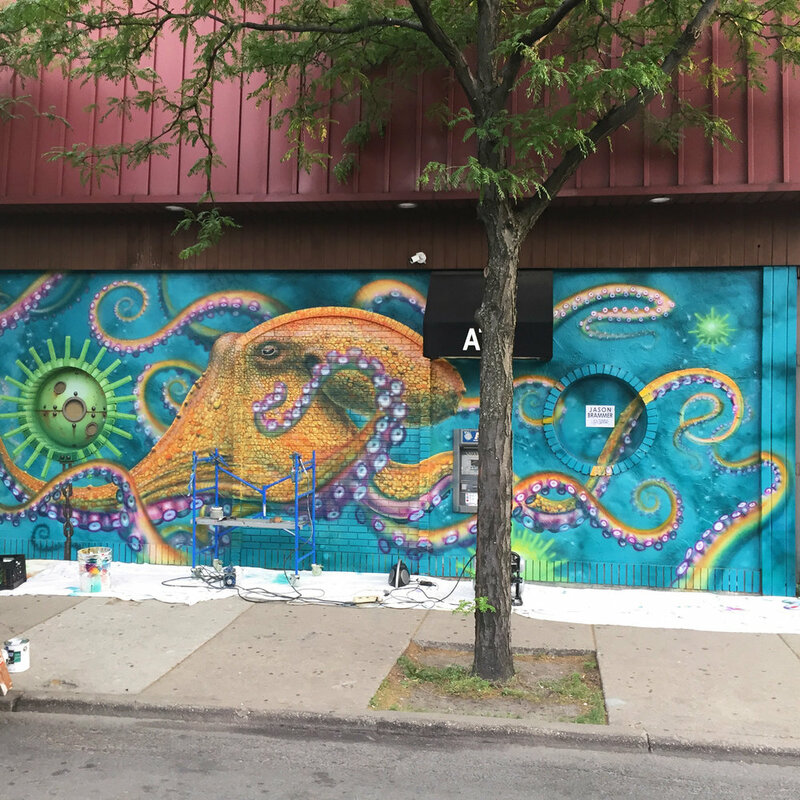 He would walk by it everyday and it was always covered with tags, so he decided to add some beauty to it. It remained there for a few years, but the building has since been demolished.